The PP election campaign slogan meaning “Spain seriously” (without a question mark) seems to suggest that the PP is taking the political situation in Spain as worthy of serious attention. With the emergence of two new parties since the elections of 2011, Podemos on the left and Ciudadanos (C’s) on the right, the Spanish electorate clearly took the opportunity seriously in December to end bi-partisan politics by dividing their vote between four, rather than the two major parties, traditionally the PP on the right and the Socialist Workers Party (PSOE) on the left. But are the political institutions and parties equally serious? The Spanish Parliament, having been dissolved by the King last October in preparation for elections, is still over 7 months later without a Government. 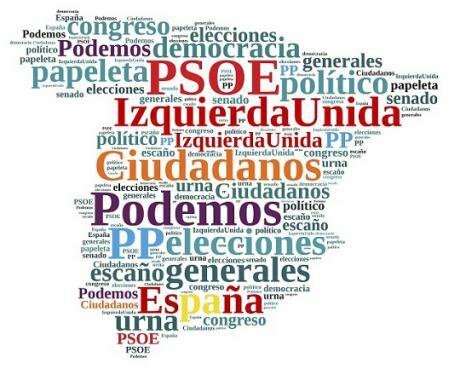 With no party having a workable majority in the December elections, the PP with 122 seats, PSOE 90, Podemos 69 and the C’s with 40, of a house composed of 350 seats, pacts became necessary between parties and after 4 months of hard fought negotiations, all attempts ultimately floundered. At times more pantomime than performance. The King was brought in to advise but as Spain is a constitutional monarchy he has no power to select a government, having rather more the role of a marriage counsellor to help resolve differences, which he clearly failed to accomplish. The pictures on TV were endless shots of party leaders shaking hands with the King on arriving, but on leaving clearly shaking their political heads. At one point when Pablo Iglesias, the leader of Podemos, arrived, in shirt sleeves as always, and 20 minutes late to shake the King’s hand (again) it was the news highlight of the day there being little else to comment on. Finally the King gave up and dissolved parliament (again) on May 3, calling for new elections on June 26. The voters were surely asking for a coalition government when nearly 50 % of the electorate did not vote in December for either of the two traditional parties, the PP and the PSOE, who have governed Spain turn by turn, since the transition to democracy in the late seventies. Over 20% voted for the new left wing party Podemos that emerged from the Indignados movement of 2011. And over 13% for the new centre right party Ciudadanos, originally a small Catalan anti-independence group that went national to fight the December elections. Traditionalism dead in one crucial blow? Or just a hiccup in the eternal social pressure in Spain to keep things the way they are, from butchering bulls in a public spectacle to apparent endemic political corruption? The PP ex-President José Maria Aznar, launched an attack on the left in January in an interview in the USA, calling Podemos a communist party funded by Venezuela and Iran and declaring that a vote for Podemos would mean the destruction of Spanish traditional values as we know them, including killing bulls as a public spectacle, one assumes. Ignacio Cosidó, the Chief of the Spanish Police Force, once a member of Parliament for the PP, repeated the accusations made by Aznar announcing on Spanish television in May, 2 days before the new elections were called, that Podemos was a threat to democracy and a party that justified violence, suggesting they had supported ETA, the Basque “terrorist” group, which renounced violence in 2010. A spokeswoman for the C’s commented that Podemos had much in common with the German Nazi Party. A lot of spectre-hunting between parties is normal in election campaigns. The lack of intelligent observation is also part of the process. However, uninformed opinion presented by the highest ranking officer of the national police force, who is a public servant, might, one would think, have led to his resignation. No such norm would appear to operate in Spain. “España en serio”? In May, Venezuela became the talking point of the electoral campaign in Spain for some bizarre reason, with the leader of the Cs, Albert Rivera, flying over for two days “in their support”, and Rajoy the acting PM calling a Security Council meeting to work out how to help the 190,000 Spanish exiles in Venezuela living under the highly contentious Maduro Government. Back home the right is at the same time prepared to send their own citizens to prison for expressing opinions against their own Government in a non-violent manner on the streets. Why, less than one month to new elections in Spain are the parties concerned suddenly with the lack of democracy in Venezuela? 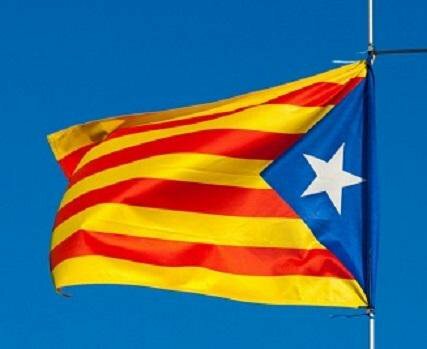 Most recently, a strangely and to many laughable authoritarian act by the PP delegation to the Madrid local government demanded the prohibition of the flag for an independent Catalonia at the football Cup Final “La Copa del Rey” to be played between Barcelona and Seville. This latest caused a torrent of public discussion, even potential splits within political parties. “Football is football” said the Government, miss-quoting the constitution to back the decision to ban “la estelada”, as the flag for independence is known. Many comments both from the right and the left against the decision treated it as, “una polémica absurda”. Taken more seriously by others the issue finally landed in the lap of a judge in the Madrid Courts who decided that the prohibition should not be upheld, ending several days of ballyhoo in the media. The recent addition of a well-known comedian Felix Alvarez as a candidate in Madrid for the new conservative party the C’s, has already inevitably added to the jokes about politicians being nothing more than a bunch of clowns. At the match last week the king was received with loud whistles, as is now usual when Barcelona is playing, just heard above the National Anthem. Flags of all types were waived vigorously so honour was served. “España en serio”, of course. How has Spain fared under the control of the PP as the acting Government? The British weekly, the Spectator has suggested that Spain may be better off without a Government. In a somewhat contradictory article they point out that, when in Government, the PP brought in a new labour policy allowing firms to make whatever wage deals they wished, and to reduce redundancy payments from 42 to 24 months for the longest serving employees, both of which acts are now helping to promote the economy says the Spectator. So does that mean a Government is useful as long as it is a right wing government? A rather more thoughtful view points out that not a single law or decree has been successfully passed in the present legislature under the acting PP Government, costing over 1.5 million euros a month in salaries and commissions. Most recently the acting PM, Mariano Rajoy has written to the President of the EU, to say that once a government is back in business in Spain attention will be paid to the need for more cuts in public expenditure. The effrontery of the merely acting PM is astonishing. Perhaps the Spectator is right: why bother with elections at all? And will new elections actually solve the problem of lack of a Government? According to the analysis of data taken in January, just after the December elections, nearly 80% of the electorate said they were not prepared to change their vote. However the Centre for Sociological Research (CIS) takes regular soundings of opinion and their measure of the intention to vote taken in early April showed Podemos and the PSOE losing votes with the PP still in first place, marginally increasing their percentage of the vote. But a poll taken a couple of weeks later in May on behalf of the newspaper La Razón shows Podemos on the increase but still offering no hope to those looking for a solution to a divided electorate. It is anyone’s guess. The new protagonist on the scene, albeit the result of an alliance between existing parties, is “Unidos Podemos” the one positive move on the part of the parties to facilitate change and create conditions for a new Government. 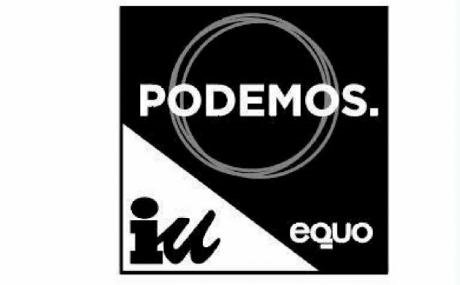 Formed on May 9 it is as the name suggests an alliance between Podemos, the party emerging from the Indignados movement that irrupted on the streets five years ago and Izquierda Unida (IU), the traditional far left party. The modern IU includes feminists groups, the greens and the new communist party developed from the original banned by Franco and once again made legal during the transition in the late 70’s. The question is will the voters respond to this unexpected and unique initiative. The polls are already trawling for answers and the media as usual taking up positions. There is still just time for serious campaigning. There is still time for the traditional Socialist Workers Party, the PSOE, to support an initiative on the left rather than on the right. There is also still time for the general election later this month to be remembered by many on the left as a tragically lost opportunity.